I know we are not even half way through the year yet but I have found my go-to ingredient already for 2016 and it’s just come onto the market via Clearspring. It is an Umami paste flavoured with chilli or ginger. 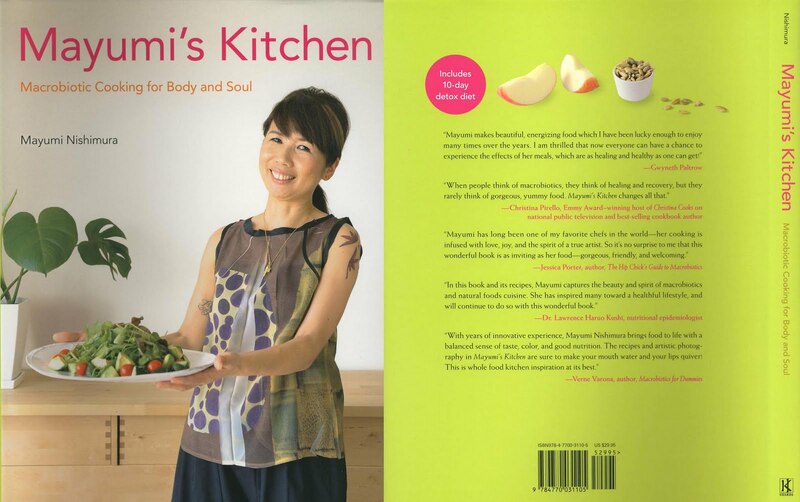 During an event they hosted recently showcasing their new product range, they offered us guests all kinds of wonderful foods including these completely addictive umami aubergine bites created by the chef host at the event, Mayumi Nishimura, Maddona’s personal macrobiotic chef for several years. I know umami pastes aren’t new to the market but the difference is how this paste is made, which gives it the edge in terms of flavour and authenticity. And, like all Clearspring products it is certified organic so it doesn’t rely at all on heavily processed or artificial ways of pimping up their products. The umami paste is made by using Koji (cooked rice/soya beans injected with a fungus/mould which is used for making soy sauce and other fermented products). The Koji is mixed with soy sauce and chilli or ginger (there are 2 varieties) to create this flavour sensation that is a real revelation. The recipe I’m sharing with you today is based upon one of Mayumi’s and I have called it umami aubergine bites because that just about sums it up. Minimal ingredients used, maximum flavour delivered. The aubergines can be baked in the oven or grilled on the bbq, all they need is a splash of oil and the rest is easy. Just umami paste, coriander leaf, sesame seeds and pickled red onions. Be sure to make plenty, they are unbelievably moreish. I was invited as a guest of Clearspring to their new products showcase event. I was not required to write a positive review. All views my own. 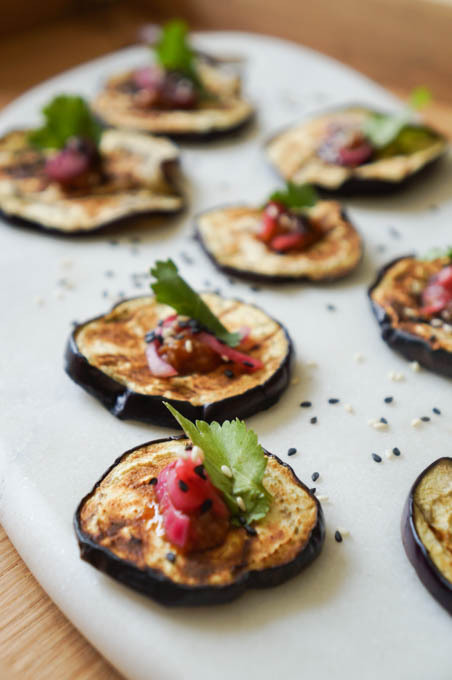 These umami aubergine bites are simple to prepare yet bursting with flavour. Pickled red onion - Finely slice 1 medium red onion and place it in a bowl with salt and a generous splash of good red wine vinegar. Let it rest for at least an hour before using. Overnight is best. Line a baking tray with baking parchment and place the aubergine discs on it without them overlapping. 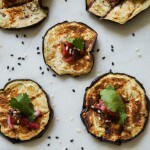 The aubergine slices can also be cooked on the bbq and they are best eaten warm. Thanks Chris and I loved your polenta, I think it is so versatile. These sound delicious indeed Laura. I’ve not heard of umami paste before and would have been suspicious of it if I hadn’t read your post. It does sound like the sort of thing that would be manufactured with all sorts of horrible ingredients, but as you say, you can trust Clearspring. I agree Choclette, Clearspring have made something that I will be buying all the time now. They are a great company, so many interesting products. These sound utterly delicious. Definitely worth seeking out the Clearspring umami paste to make this up (although I would probably eat the lot without sharing!). I have never bought an umami paste as mostly I cook with umami in mind already, but having a handy paste to add to something simple to prepare like this sounds fab! Am so thrilled to have been introduced to this new ingredient at the Clearspring event. I will definitely be making this one quite often too. I like the way you added the pickled onions too this. Great canape idea. It definitely seemd to be the winner, I agree, at the event May! What gorgeous photos! 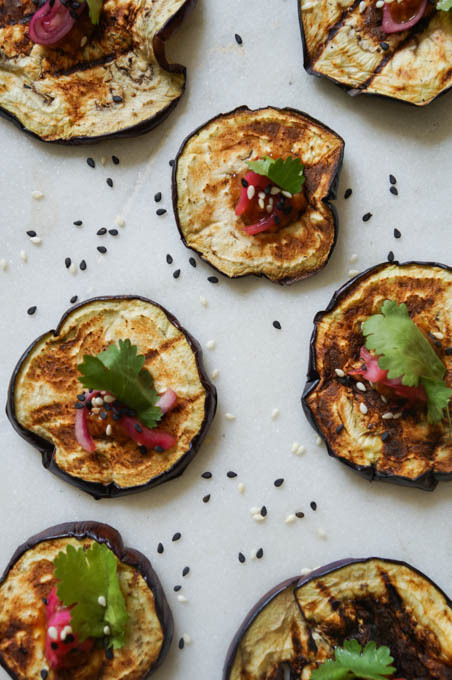 I’m a big fan of aubergine and haven’t yet delved into umami paste, although I’m intrigued! I always order something similar to this when we go to our local Japanese place, so I am going to have to try making it myself with your recipe. My mouth is watering thinking of these, I always pick the aubergine dish in Yo Sushi and I’m thinking this would be equally savoury!